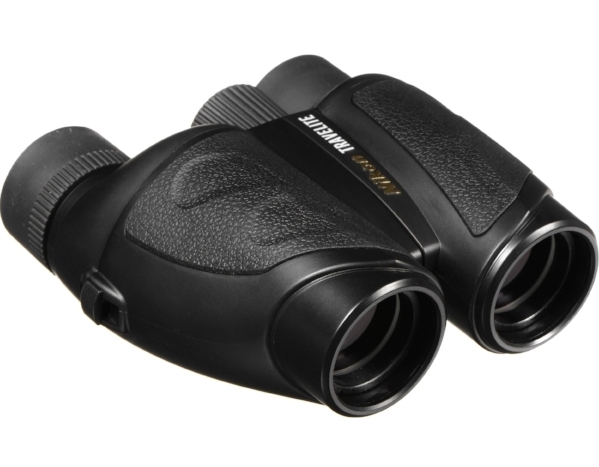 This week we are profiling our most popular binoculars. Perhaps your old binos just aren’t providing you with a sharp, bright image anymore, or they’re out of alignment. 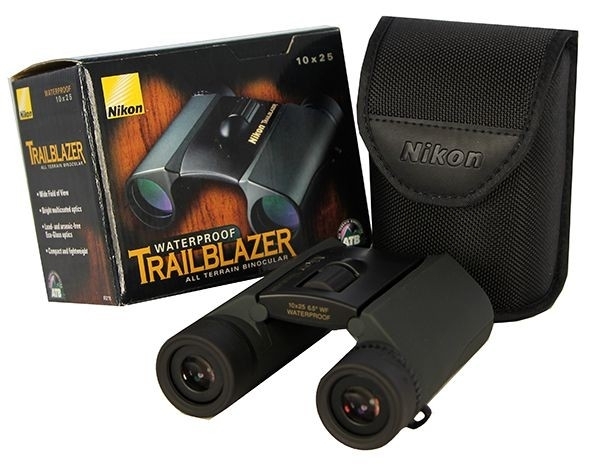 Maybe your significant other has mentioned needing a pair of binoculars for hiking, birdwatching, canoeing, or ball games. Between Friday, Oct.19 and Friday, Oct. 26 all binoculars will be marked down. Come in and let us assist you to determine which ones would be best for your needs. 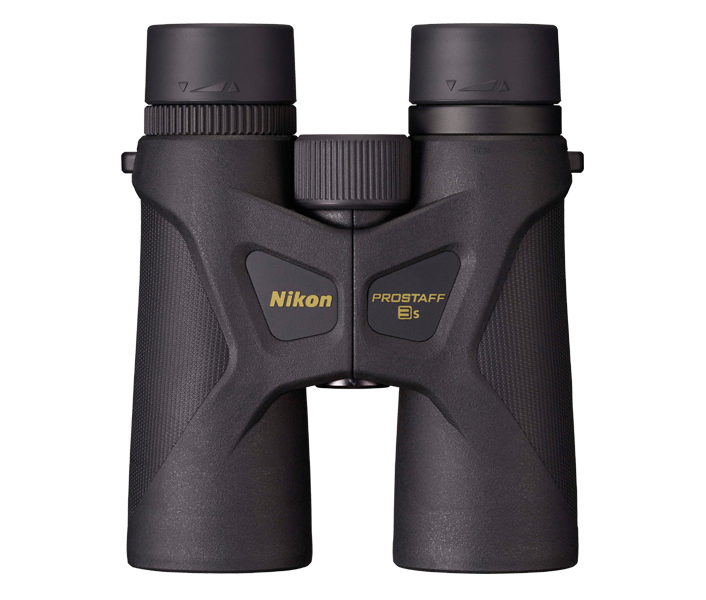 The Monarch 7’s are our top of the line stocked Nikon binocular.The 7’s are equipped with premium ED (Extra-low dispersion) glass, lenses, and prism coatings. ED glass improves resolution and brightness to extreme levels, but also enhances your viewing experience with a wide field of view, close-focus and comfortable eye-relief. Customers that look through these usually say, “Oh, wow” because of the extremely bright, clean and crisp image. They are fantastic performers in low light conditions and have a nitrogen-purged housing making them fog proof/waterproof. These binoculars would satisfy for a lifetime. We stock the 8x42 and the 10x42. Available to order are the 8x30 and 10x30 models. Monarch 7. Regularly priced 8x42 $479 10x42 $499 Now $35 Off. What do the numbers, 8x42 and 10x42, mean? The first number that you see (8, or 10) is the amount of magnification. So, for example, an 8 power binocular is magnifying the object you’re looking at 8 times. The second number (42) is the measurement of the objective lens, 42 mm. The objective lens is the lens furthest from your eyes, while the ocular is the lens closest to your eyes. The objective lens is the light gathering part and influences the field of view. Field of view is how wide an area is encompassed in the binoculars' image. It can be expressed as an angle (8°), or as the width in feet of the image at 1000 yards (420 ft.) ... Field of view is a matter of eyepiece design. More magnification usually means a narrower field of view. The Monarch 5’s have been a staple of The Wood Thrush Shop’s optics inventory for many years. In quality, they are just a notch below the 7’s and lack some of the extra features. The 5’s have ED glass producing a bright, crisp image. They have been recognized in birding magazines many times as a “best buy”. Also waterproof/fog proof, the 5’s offer some of what the more expensive binoculars have but in a more comfortable price range. The Prostaff 7’s fit the difficult category of good optics, whether for home, out in the field birdwatching, or going to a game, at a price under $200. Multi-coated lenses, long-eye relief, and waterproof up to 3 feet of depth for 10 minutes. The shop stocks the 8x30 and 10x30 but available to order are the 42mm models. They are not as physically small as a compact, but close. They perform, however, like a standard size binocular. Because of the smaller body these binoculars have become a popular choice for women who tend to have smaller hands. A binocular comfortable to hold is a very important factor. Long-eye relief defined. This is a term that every eye glasses wearer should pay attention to. It's all in the design of the eyepiece. For any binocular, there is an ideal distance that your eye should be from the eyepiece. This distance is called the eye relief. Some binoculars have eye relief of only 15mm or less. Even though the eyecups twist down to let glasses wearers get closer, it's not close enough. Such binoculars are suitable only for people who don't wear glasses. Exactly how much eye relief you need depends on your glasses. If they are small and close to your eyes, you might get away with a binocular whose eye relief is only 15mm. Most glasses wearers need longer eye relief than that, at least 16mm or more. The Prostaff 3’s are available in 8x42 and 10x42 models. Known for a wide field of view, being very lightweight, and having a generous eye relief, the Prostaff’3’s fit the consumer looking to spend under $150. Other features include waterproof/fog proof performance, turn and slide multi-click eyecups to fine tune comfort, and rubber armoring for shock resistance. We stock compact binoculars as well. The Nikon Travelite’s are known for extremely light- weight portability and are available in 8x25 and 10x25 models. The Prostaff ATB are also 8 and 10x25 and are rugged and waterproof. The Trailblazer 8x25 is the smallest of the compacts but is rugged and waterproof, perfect for tucking in a coat pocket or day pack. It comes with a carrying case that conveniently threads onto a belt. All Compacts $15 Off including Travelite 8 and 10x25, ProStaff 8 and 10x25, Trailblazer 8x25, and the Carson 8x22. And the best thing we offer for kids is the Carson 8x22 Sport Binocular. Most “kids” binoculars are so cheaply constructed with cheap materials that they are priced from $10 to about $20. From our experience with such binoculars any child is going to have a frustrating experience trying to see anything with them. And what they see will not be enhanced at all. These little Carson’s are great for small hands, easy to use, and the optics are good enough that the image will enhance the object of their viewing interest. These are great to learn on before graduating to something more serious and valuable.